Life comes without a manual, it comes with a mother, and being a mum too has no manual. This greatest job in the world has no manual. And this is perhaps why, even after having one child already, the coming of another one still comes with a healthy dose of anxiety, which is absolutely normal. 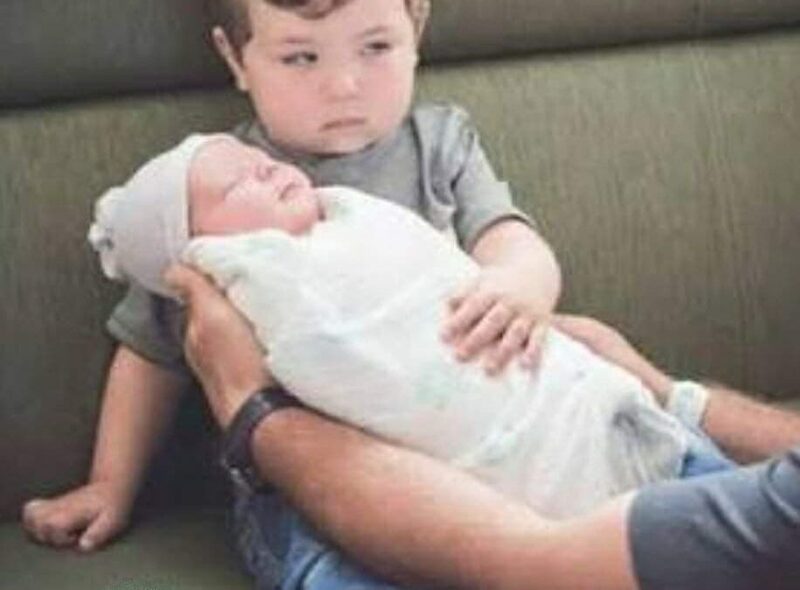 And one of the questions you could be asking yourself is how do you prepare your child for a new sibling? The coming of a new baby is always life changing for everyone involved. It’s a perfect blend of joy, excitement, stress and worry because it shifts your family’s needs, responsibilities and relationships. You have to deal with the expected concern of figuring out how you’re going to share every ounce of your energy in managing your new baby, the older child, yourself and even your partner. But mainly, your major concern at this point is helping your child get ready for the new baby. The great news is that there are a number of things you can do to help prepare your older child for the new arrival in ways that will maximize the chances that he will eventually develop a very close and loving relationship with his sibling. Depending on your firstborn’s age, the news of a coming baby may either cause him a little anxiety or have no effect at all. Either way, it’s important to get him ready for this momentous change. These competences extend beyond the sibling relationship and are linked to later social competence, emotional intelligence and peer relations. So this preparation you’re doing for your child now is not just for the new baby phase, you are setting up your children for a better life ahead. Having seen all these benefits, the next question then is, how do you go about it? There are a number of great ways to lovingly prepare your older child to embrace the coming baby. When that time comes and you need to talk to your little one about your pregnancy, try to keep it light and positive. If your sickness shows, you can simply explain that you’re not feeling too good but do not relate it to your pregnancy. This is simply because you don’t want the little one to associate the on-coming baby with your sickness or sadness. As much as this may be a very difficult thing with the coming of a new baby, try and keep to the regular routine as much as possible. This includes the meal times, the bath time and the sleeping times. This will ensure that his mood remains calm, this is good for everyone. If you need to move him from his crib to another room, you may need to do this at least 4 months before so that he can have gotten used to it by the time baby comes. You don’t want him to feel displaced because of the newborn. Let him feel like part of the whole deal. You could involve him in picking out baby’s items e.g. blankets. You can also consider tagging him along in one of your prenatal clinics as well. Try and allow them to feel the baby’s kicks and stretches, those are always very exciting. You can also invite him to sing for the baby. All these will help him look forward to his little sibling. Kids generally love to feel responsible because it makes them feel a bit, like an adult, therefore let your child know that he is going to be a big brother. Tell him that he is going to be teaching baby a few things and that he is going to be protecting her like a superhero, this is a great way to help him look forward to the baby in a loving way, while feeling that he too has his big and important role to play. Nothing sets the stage for great brotherly and sisterly love than a gift “from the baby”. 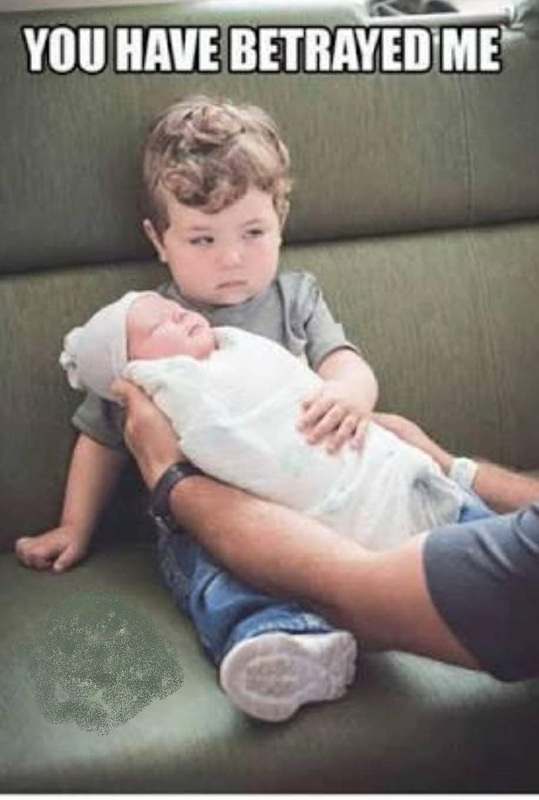 And kids just love surprises; it’s the easiest way he will warm up to his new sibling. My daughter was 3 years old when I became pregnant with baby no. 2. She was clueless and the only thing she knew was “there is a baby in mum’s tummy”. “Dear Zoey, I can’t wait to see you. She became very excited and started reciprocating the feeling. She knew ahead that the baby loves her already even from my tummy. She would look forward to these little presents and of course, finally, when she got to meet her little baby in the hospital it was just a beautiful memory of her smiling and cuddling the baby. So showering him with gifts is a guaranteed way of winning his heart over, for baby even before she’s born. 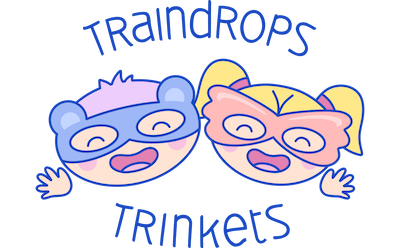 For great gift ideas, visit Traindrops Trinkets and check them out at PBC expo in Melbourne. There will be trinkets and little present targeted at kids from 2-8 years old. They are great ideas as “gifts from the baby”, Christmas stocking fillers and Halloween dress-ups. So as much as there is no manual for being a great mum, the truth is that all mums naturally have greatness built in them, and that is why even though you may feel a little anxious about the coming baby, some or all of these tips above will help you prepare your child for the coming baby. And to add a cherry on the cake, the benefits of building a loving relationship between or among your children last way beyond childhood.